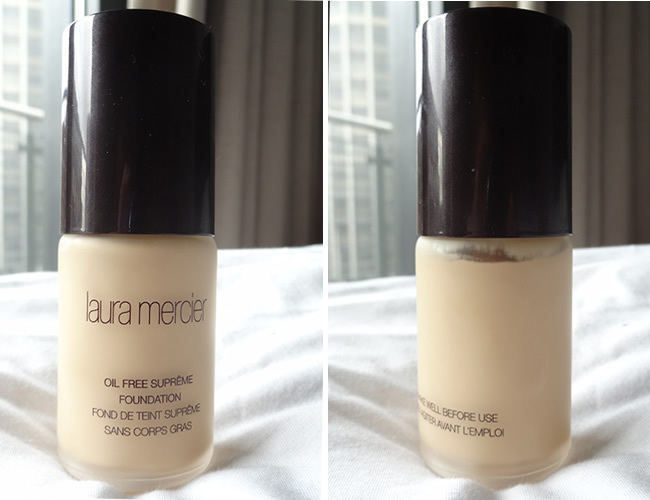 I have wanted to try a Laura Mercier foundation for the longest time but have always put it off due to being one of those people who is a bit scared about changing their foundation in fear of what their skin might do! But for the past 3 months I have been more experimental with foundation and have tried quite a few out with nothing horrific happening so I took the £32 plunge and bought the Laura Mercier Oil Free Supreme foundation in Warm Ivory. I had high hopes for this foundation I thought this could be the one, it came in a nice bottle and when applied it gave you a flawless finish. But after 2 hours of application it all goes down hill. First off when applying this foundation you actually have to spend a good 5 - 10 minutes really blending this foundation into your skin, I have tried putting it on with my fingers ( not good) and my Mac 187 but both take a lot of time and effort to finally achieve a flawless look. 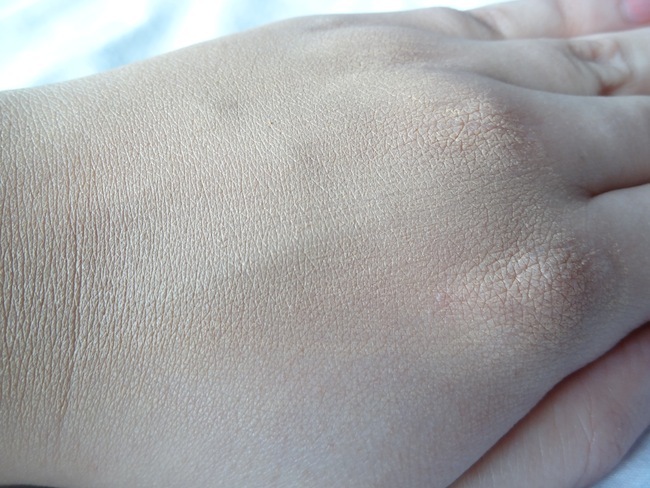 You can see in the photo above I have tried blending the foundation on my hand quite a bit and you can still see brush marks. 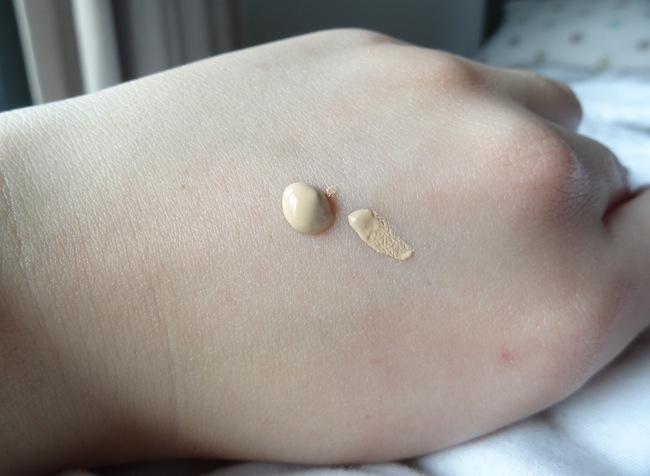 Admittedly once on it looks really good, it hides everything and gives you a lovely even skin tone due to this being a medium to full coverage foundation. After two hours of application and when my working day actually begins, this foundation separates and clings to areas of my skin in particular my cheeks, giving my face cakey patches. Now I would understand if I had dry skin why this would happen but I moisturise every evening and use the Laura Mercier primer in the morning and my skin is definitely not dry. I have tried using this foundation with and without a primer as well but still no luck. My only theory behind it not working for me is because it is oil free and I don’t really have oily skin. If anyone knows the answer to that please let me know! I know this review isn’t shining it in the best of light but I just don’t want anyone else wasting their money on this foundation as I personally do not think it is good, if you are interested in it I suggest asking for a sample before buying. After I bought this foundation and started having these problems I looked for reviews online and it seems a lot of people have the same problem with it. For now I think I will keep this foundation for nights out, when I need full coverage and it is dark out! haha but I will keep you posted if I finally crack this and find out how to make it work for me! Have any of you tried this foundation? If so have you had the same problems? April's Face of the Month!